Easter joy: Missionary of God’s Love Father Dan Benedetti. A CHAPLAIN who ministers to youth inside Darwin’s notorious Don Dale detention centre, has told of his emotional Easter meeting with inmates including washing the boys feet. Missionaries Of God’s Love Father Dan Benedetti washed the feet of about 20 young offenders during an Holy Thursday commemoration of the Last Supper and the washing of the feet. The celebration was led by Darwin Bishop Eugene Hurley. “Bishop Eugene explained the significance of what Jesus did that night, that leadership and friendship is about humility, respect, love and care,” Fr Benedetti said. The Don Dale Youth Centre is in the spotlight of an ongoing Northern Territory child detention royal commission, following allegations of prisoner mistreatment made on ABC TV’s Four Corners last year. Fr Benedetti has ministered at the detention centre since 2003, and knows the teenagers, including Dylan Voller, whose brutal treatment was documented by Four Corners in July last year. From the television images, Fr Benedetti recognised that “just metres from one of the places we had our services were these horrendous cells I didn’t even know existed,” Fr Benedetti said. During Easter this year, Fr Benedetti also visited Darwin’s 1000-bed adult prison, of which more than 80 per cent of inmates are indigenous. He celebrated Good Friday with male prisoners, Holy Saturday with women inmates and Easter Sunday with inmates of the prison’s mental health unit. 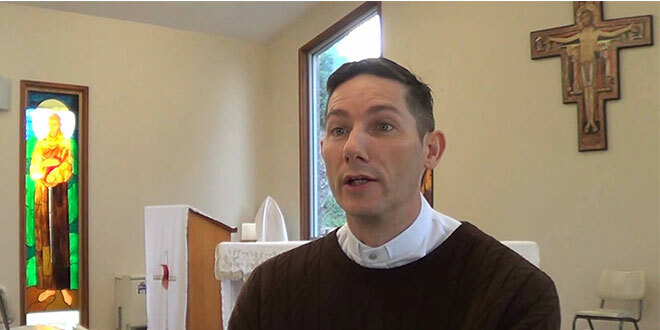 “A highlight was the Baptism of one female prisoner during a service with over 30 ladies which was followed by the distribution of Easter Eggs,” Fr Benedetti said. “Finding God, love, respect, kindness, healing, forgiveness, dignity and joy on the inside is central to our Darwin Catholic Prison Chaplaincy.